Today there is a decline in oil prices. This is due to the release of the forecast prepared by the United States Department of Energy. According to the published data, experts expect a significant increase in oil production by the United States. Namely, the overall increase in the production by 80,000 barrels per day will be observed in seven shale areas. Thus, the total oil production in the US will be 6,174 million barrels per day. Yesterday Mohammed Barkindo, OPEC Secretary General made a statement that in his opinion the only way to achieve and maintain market stability was to continue implementing a program to reduce the oil production. At the moment (8 am Moscow time), January futures for Brent crude oil (traded on the London stock exchange ICE Futures) have fallen in price to the level of $ 62.95 per barrel. This is 0.21 US dollars or 0.33% lower than the price that was fixed when the previous trading session closed. WTI, another benchmark oil, which is traded on the New York Mercantile Exchange NYMEX, also has showed a significant decline. Thus, futures for December have fallen to $ 56.62 per barrel. This is 0.25% or $ 0.14 less than the price at the closure of the previous session. 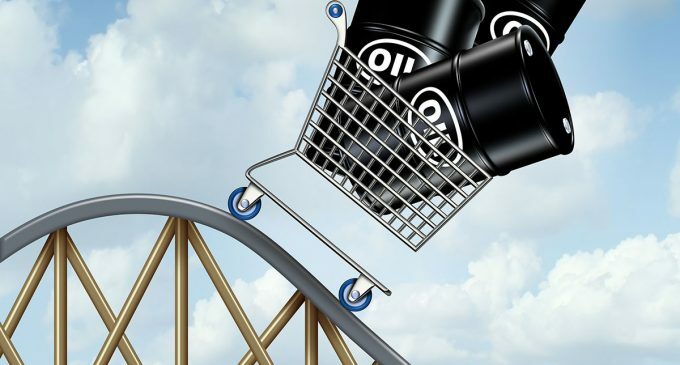 In the coming days oil will show strong volatility; there is a high probability that the quotations of both “black gold” benchmarks will show the growth.